Olga was our go to person for clinical research at the Stone Centre. She managed all clinical research projects, focusing on patient participation, administrative, ethics, legal, and other regulatory and research related activities at the Stone Centre. 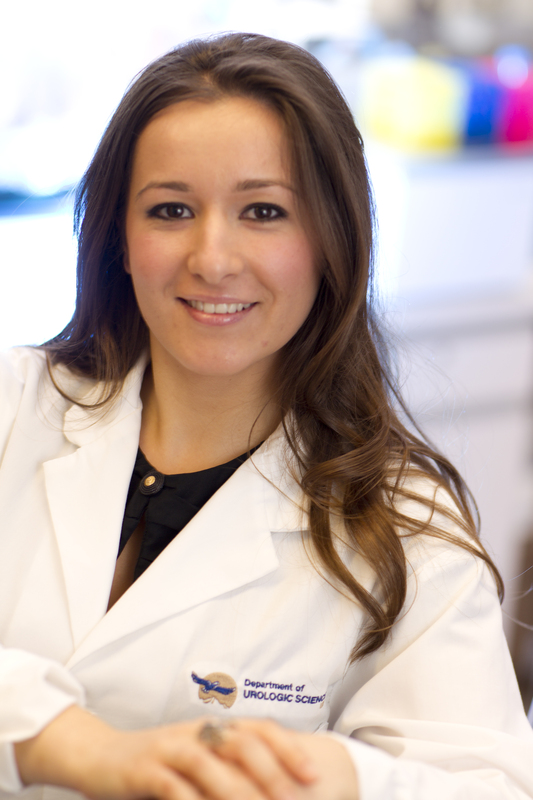 Olga worked closely with the entire research team and collaborators and was an integral part of the chain that links research discoveries with treatment and prevention of kidney stone disease. Olga has co-authored several medical journal articles together with the Stone Centre research team, and presented research at national and international congresses. Olga has worked in healthcare for over 10 years at VGH and BCCH. Believer in multidisciplinary team approach and making a positive and strong impact with her work, Olga is an active participant in the research community and volunteers with organizations that are closely linked to her work such as CRPBC, BCCRIN, VCHRI, and the EHL. In her personal time Olga volunteers for the United World Colleges, designs and makes jewelry for charitable causes, enjoys learning about different world cultures and cuisines, as well as improving skills in rollerblading in the summer and skiing in the winter.